Get a look at two new regions in the game, one of which is mostly just some nice trees. I'm pretty fond of the #screenshotsaturday hashtag on Twitter that allows devs to showcase new games. One team using it to interesting effect is Amazon Game Studios' Orange County office, which is making the MMO New World. 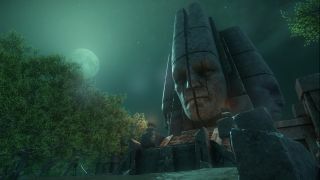 In this case it's being used to reveal new parts of the game's fictional supernatural continent. Over the past few weeks, the developer has unveiled a couple more locations on its substantial map—Brightwood and Weaver's Fen. 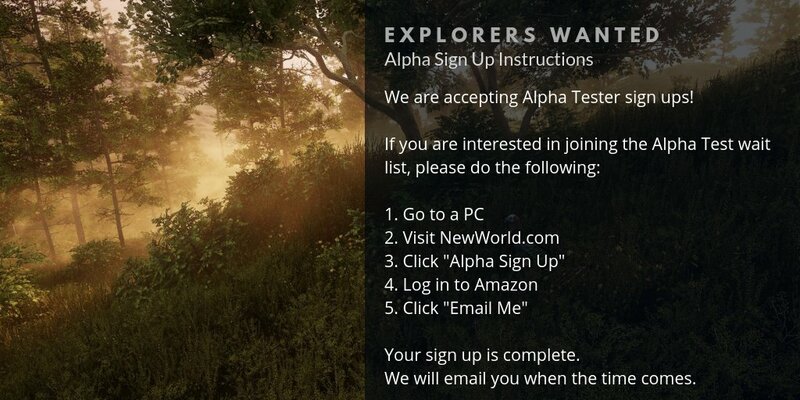 Last month, Amazon revealed some (admittedly uneventful) official footage of New World for the first time, following a leak from the game's closed alpha. Back at Gamescom, I had a little bit of hands-on time with New World where I got to blow up the wall surrounding a camp, kill the players occupying it and steal their land. The finished game is intended to support hundreds, maybe thousands of players as they fight over this gigantic, mysterious new land. If you want to get in line for the alpha, Amazon reiterated how you do that this past weekend.